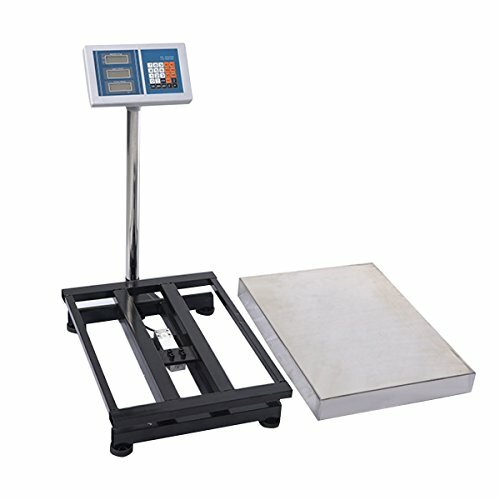 This 660lbs LED AC/DC Digital Postal Platform Scale is great for both indoor use and outdoor use. And It Is Suitable for Post Office, Food Industry, Electronics, Mines, Medical Industry, Agriculture and Textiles. Also Good For Vets To Weigh Dog, Cat, Livestock Or Any Other Animal. It Comes With An Insert Storage Box For Keeping The Display And Power Cord. Making It Easy To Take Along With You. If you have any questions about this product by HomeProWholesale, contact us by completing and submitting the form below. If you are looking for a specif part number, please include it with your message.